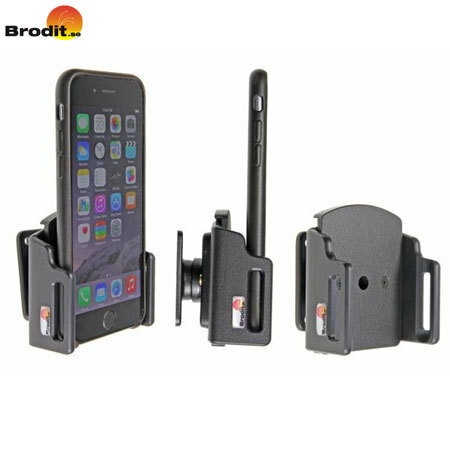 Use your iPhone 7 / 6S / 6 safely in your vehicle with this small, neat, discreet and slim case compatible Brodit Passive holder, complete with a tilt swivel. Ordered a Brodit iphone 6S holder. Item received quickly and exactly as expected. Its lightly padded design ensures that your iPhone 7/ 6S / 6 doesn't get scratched when being used in the holder. The holder has an adjustable tilt/swivel base that allows you to adjust the angle of the phone to avoid light reflection. The open style of the holder leaves the charging port, headphone socket and speakers fully accessible. A charging cable can be connected to the iPhone 7 / 6S / 6 when it is in the holder. 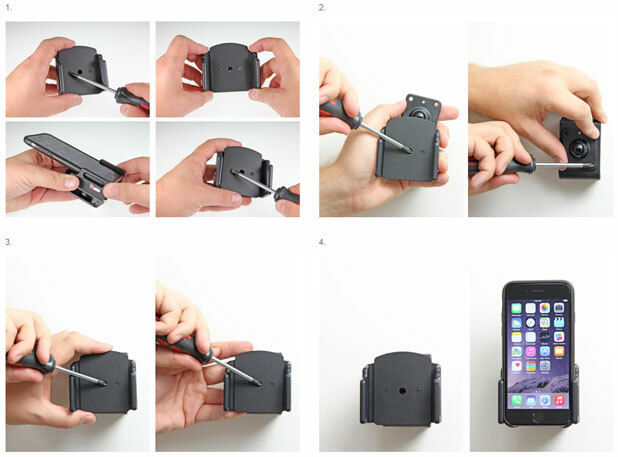 With a slim case attached to your iPhone 7 / 6S / 6, you can still dock your device within the Brodit Passive Holder to save you removing the case from your phone.